Viola power / Patricia Pollett, viola. 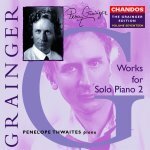 Arrival platform humlet / Percy Aldridge Grainger. 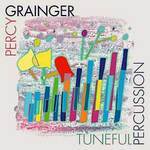 Tuneful percussion / Percy Grainger ; [performed by] Woof!. Instrumentation: Viola (or massed violas). 15 Jun 2018: at SSO Percussion Stars (Tea & Symphony) (Sydney Opera House, Concert Hall). Featuring Sydney Symphony Orchestra Percussionists. 31 Jul 2010: at Governor's Gala Concert (Townsville Civic Theatre). Featuring Goldner String Quartet, Synergy Percussion. 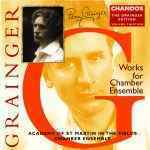 14 May 2009: at Bach, Grainger, Grieg (Albert Hall, Canberra).